Problem Solver for High Volume POP Applications! 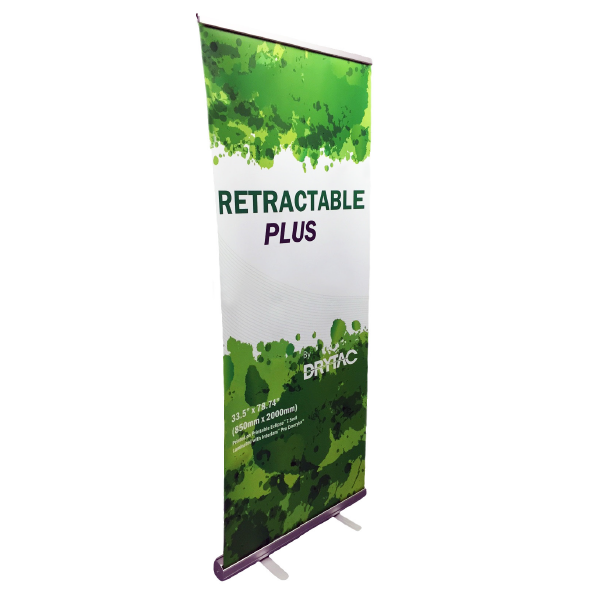 An economical, stable roll-up banner stand, The Retractable Plus is ideal for high volume POP applications such as in-store promotions and advertisingcampaigns. The base is silver and comes standard with a carrying bag. The Retractable Plus also comes with two top rail styles — self-adhesive or clamp. The Retractable Plus™ must be ordered in cases of six.